April 15 is the birthday of the original “Renaissance Man”, Leonardo da Vinci. He was an artist, musician, scientist, engineer, inventor, anatomist, and writer. As an artist, he is best known for his paintings. He painted the most famous portrait in history, the Mona Lisa. He painted one of the most famous religious painting, the Last Supper. The drawing of the proportions of the human body known as the Vitruvian Man is considered a cultural icon. As an anatomist, he dissected corpses at a local hospital to learn how people are put together. He compiled 240 detailed drawings to accompany a treatise of over 13,000 words detailing what he found. Many of his illustrations show how the muscles attach to the skeletal system and the forces they apply to move the different parts. 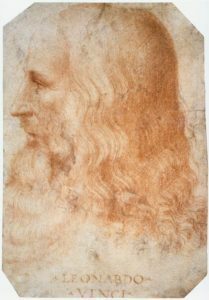 As an engineer and inventor, Leonardo designed a wide variety of projects. He constructed siege works for cities and planned a bridge to span the Bosporus in Constantinople. His notes contained designs for flying machines, weapons, parachutes, hydraulic pumps, mechanical men, and musical instruments. He gained a lot of fame during his lifetime. He was even lured to the French court by Francis I with the promise of support and a place to live for the rest of his life. Even today, 500 years after his death, people line up for hours just to glimpse the Mona Lisa in the Louvre. 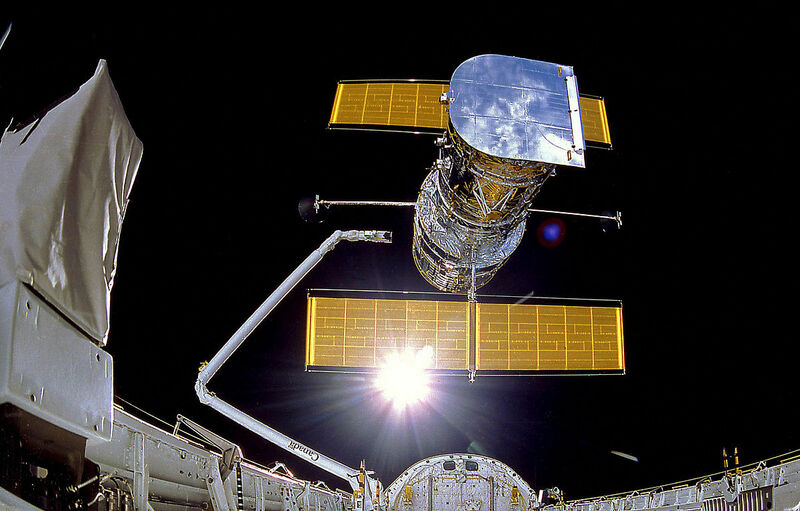 1990 – Hubble Space Telescope enters orbit. View of the deployment of the Hubble Space Telescope from the Discovery’s cargo bay. The Space Shuttle Discovery placed the Hubble Space Telescope in orbit 500 miles above the Earth. This telescope was the first major orbiting observatory. It contains a large primary mirror and several instrument packages to record nearly all of the electromagnetic spectrum. A telescope in orbit does not have to deal with the interference and light scattering effects of the atmosphere. Hubble has produced some of the most stunning observations of our universe and continues to do so to this day. 1943 – Robert Lefkowitz was born. Lefkowitz is an American biochemist and physician who shares the 2012 Nobel Prize in Chemistry with Brian Kobilka for their work on G protein-coupled receptors. G protein-coupled receptors are proteins found outside eukaryotic cells which act as receptors which activate pathways into the cell and cause cell responses. Lefkowitz and his team cloned the gene for the β-adrenergic receptor and genes for eight other adrenergic receptors. 1927 – Robert Mills was born. Mills was an American physicist who created with Chen Ning Yang a tensor equation called Yang-Mills fields. This tensor is a fundamental tool of elementary particle theory used to describe the behavior of elementary particles. The mathematics derived from this equation is used to relate the forces of electromagnetism, weak nuclear force, and strong nuclear force. 1907 – Nikolaas Tinbergen was born. Tinbergen was a Dutch zoologist who was awarded a third of the 1973 Nobel Prize in Medicine for his research into the social behavior of seagulls and their relationship to man’s social behavior. He related seagull learned and instinctual behavior to human behavior to illustrate similarities in survival behaviors. 1896 – Nikolay Semyonov was born. Semyonov was a Russian chemist who shares the 1956 Nobel Prize in Chemistry with Cyril Norman Hinshelwood for their work in chemical kinetics. His work was in the area of chain reactions and combustion reactions. 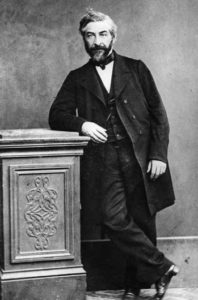 1894 – Jean Charles Galinard de Marignac died. Marignac was a Swiss chemist who was one of the first to suggest the existence of isotopes. He also discovered the element ytterbium and co-discovered gadolinium. 1874 – Johannes Stark was born. 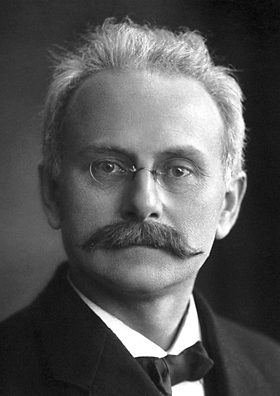 Stark was a German physicist who was awarded the 1919 Nobel Prize in Physics for the discovery of the splitting of spectral lines in electric fields (the Stark Effect) and discovering the Doppler effect in canal or anode rays. Canal rays was an early name for a beam of positive ions. 1793 – Friedrich Georg Wilhelm von Struve was born. Struve was a German astronomer who was a pioneer in the study of binary stars. 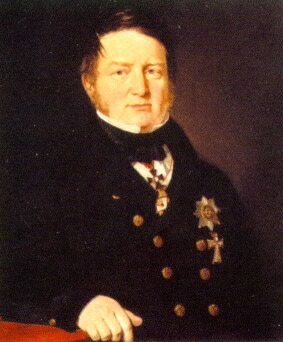 He was the second in a five generation series of Struve astronomers. 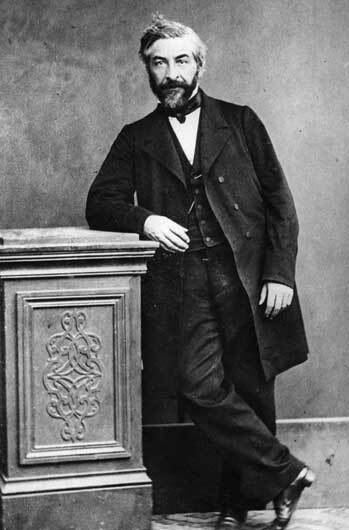 Struve was also one of the first astronomers to measure the parallax of a star. Astronomers had noted several stars appeared to work in pairs close to each other. As telescopes improved, many of these double stars turned out to be optical illusions. Struve made precise observations of double stars and catalogued 2714 true binary star systems of two stars orbiting each other. Struve also set up the Struve Geodetic Arc. This project was supposed to generate an accurate measurement of the flattening of the Earth due to its rotation and a measurement of the equator’s radius. A chain of surveying markers was constructed ranging from Hammerfest, Norway to Nekrasivika, Odessa Oblast in Ukraine. The distance between these two points was measured to 2,821.853 km with an error of only ± 12 meters. Struve’s published value for the flattening of the Earth as one part in 294.26 and the equator’s radius at 6,378,360.7 meters. Current satellite data shows a flattening of one part in 298.257 and a 6,378,136.8 meters. The Struve Geodetic Arc measurement sites are currently part of the UNESCO World Heritage List with markers at the original 256 measuring stations. 1452 – Leonardo Da Vinci was born.